It is being seen as a glimmer of hope in the hunt for a lost Argentine submarine. The defence ministry says the missing vessel likely tried to communicate on Saturday although the seven satellite calls failed. The signals, in the late morning and early afternoon, lasted between four and 36 seconds, the ministry said. 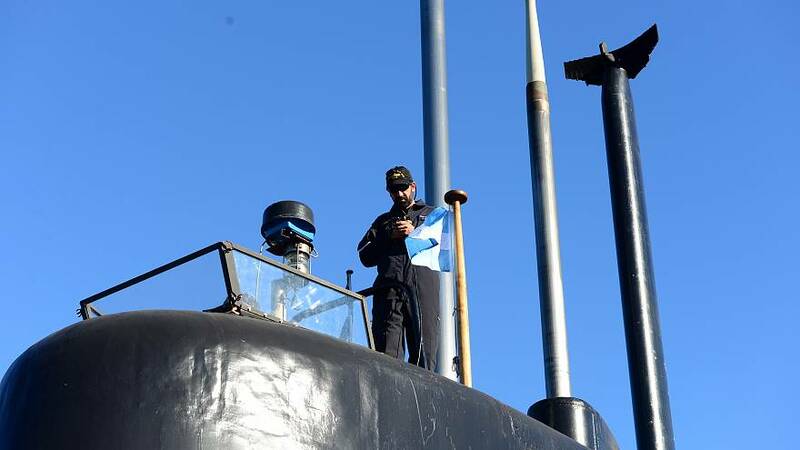 Unaccounted for since Wednesday, the ARA San Juan submarine with 44 crew members was returning to the Mar del Plata naval base, south of Buenos Aires. The last confirmed location of the German-built vessel was 432 km off Argentina’s southern Atlantic coast. Protocol calls for submarines to surface if communication is lost. But Martín González, an Argentine Navy Rear Admiral, told reporters that priority was also being given to searching below the water’s surface, including on the seabed. Stormy weather has hindered efforts to find the missing submarine. But the search is taking on an international diminsion with offers of help from Chile to South Africa. The US Navy said it was deploying a deep-sea rescue mission to Argentina from California to support the effort, with a remotely operated vehicle and two vessels capable of rescuing people from bottomed submarines set to arrive in the coming days. Britain has sent the Royal Navy’s ice patrol ship, HMS Protector, equipped with sonar equipment to search underwater. The dramatic search has captivated Argentina, which recently mourned the loss of five citizens killed when a truck driver ploughed through a bicycle path in New York City. “We’re hopeful this will end soon to remain only as a bad memory,” Maria Morales, mother of crew member Luis Esteban Garcia, told journalists. Messages of support have poured in from around the world. Pope Francis, an Argentine, was praying “fervently” for the crew to return home soon, his office said.